Marked by elegant simplicity, this steel-clad writer’s studio and hunting lookout effortlessly blends into a rocky slope in the Texas Hill Country. 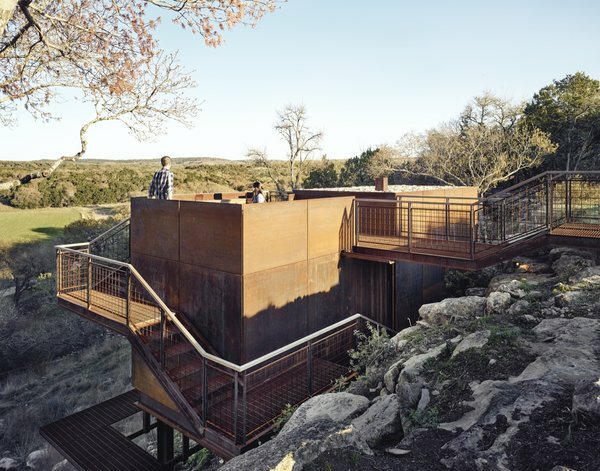 Camouflage was key in the design of Clear Rock Lookout, a minimalist and modern writer’s studio with a hunting blind and observation deck, sited on a 1,000-acre ranch outside Johnson City, Texas. 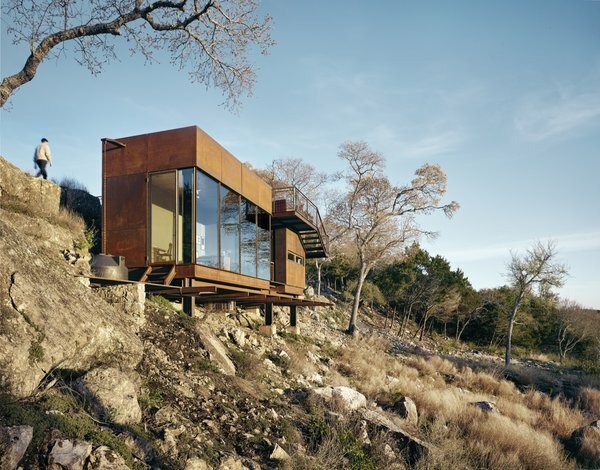 Hired by a client who had spent years carefully scouting the property for the perfect vantage point, architects Stephanie and Ryan Lemmo of Austin–based Lemmo Architecture and Design channeled the owner’s meticulous attention to the landscape with a highly detailed structure that makes the most of its cliffside views without detracting from the surroundings. Fronted with full-height, double-glazed openings, the studio frames east-facing views of the creek-bed and beyond. A grated metal footbridge with hog-wire, guard-rail panels connects the top of the mesa from the west side to the observation deck. Stairs lead to the glazed studio and hunting blind below. 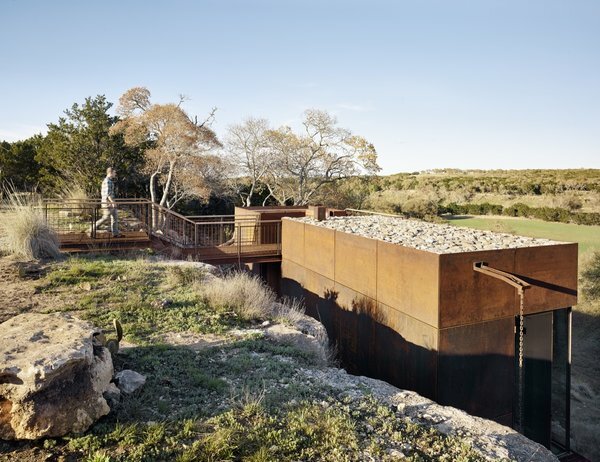 The weathering steel exterior pays homage to the owner’s youth, which was spent welding oil tanks.